Peel off the shells from the centre of the prawns leaving the tails and heads intact. Trim 1 cm of the heads with a scissor. 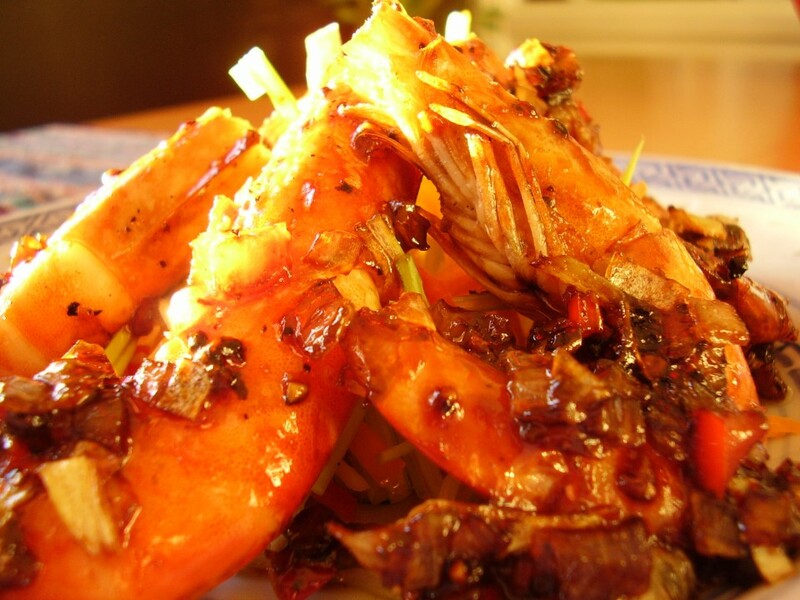 Heat oil in wok, fry onion until soft, add in the prawns, black pepper and chilli. Stir gently for 2 minutes. Add the rest of the ingredients and continue to fry for another 5 minutes.